​Dedicated to customer-focused service on quantities and lead times. Power cable is the backbone of electrical energy supply for all kinds of industrial applications. Shawcor offers low voltage power cable from 600V to 5000V, single conductor to multi conductors, with both armored and non-armored options. 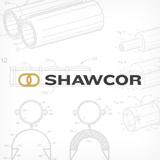 ShawFlex wire and cable from Shawcor's Connection Systems group stands out from the competition because of our dedication to customer-focused service on quantities and lead times, and proven track record of delivering dependable performance. This positions Shawcor as a strong partner. Shawcor's power cable consists of UL tray cable, UL MC cable, CSA TECK90, CSA tray cable, ICEA utility power cable, UL/CSA single-conductor power cable, and armored and non-armored VFD cable. Tray power control cables are suitable for use in ventilated, non-ventilated and ladder-type cable trays, direct burial, raceways and for exposed or concealed wiring in wet, damp or dry locations in -40°C (-40°F) environments. Applicable for use in utility, industrial and commercial applications. ShawFlex VFD cables are the preferred power cables for AC drives. These cables are primarily used between Pulse Width Modulation (PWM) inverters and AC motors. ShawFlex VFD tray cables are suitable for use in raceways, including ventilated, non-ventilated, indoor/outdoor and ladder-type cable trays in wet/dry locations, and are applicable in industrial and processing facilities. Metal-clad AIA power cables are suitable for use in ventilated, non-ventilated and ladder-type cable trays, direct burial, raceways and for exposed or concealed wiring in wet, damp or dry locations in -40°C (40°F) environments. Applicable for use in utility, industrial and commercial applications.